For many travelers, the advantage of low season travel is to cut costs. But rather than carefully time every flight and date, why not consider some amazing destinations that are cheap all year-round? Now we know, hardened backpackers and newfound wanderers often share the same concern about budget destinations. Are they safe? To avoid some exhausting research and stressful visits to sites like the State Department safety indexes, our travel experts at AllTheRooms are here to help. We’ve arranged a list of some of 2018’s best budget cities to help save some money on your travels, without compromising your safety. Thailand has long been considered a mecca for backpackers from all over the world. While much of the country’s business and culture has been adapted to welcome a high number of tourists, what hasn’t changed are its low prices. Far from the hustle and bustle of Bangkok, Chiang Mai is surprisingly sleepy despite being the hub of Northern Thailand. Take advantage of the incredible travel experiences available in the city — visiting an elephant sanctuary is a particularly popular option. Don’t be surprised if you visit one of the numerous temples in the city are engaged in conversation by friendly young monks hoping to practice their English. This Indonesian island is typically immediately associated with the idea of beautiful luxury beaches. While the world-class beach part is true, not all of the locations on the island are centered on 5-star resorts. Finding a cheap guesthouse is relatively simple, especially near to some of the beach towns like Canggu and the Uluwatu peninsula. Guesthouses, often filled with enthusiastic Australians on break from university, create a friendly atmosphere that matches the slow pace of the surrounding beaches. With tourism being an essential part of the economy and locals embracing a relaxed island life, safety is hardly a concern. With that being said, be aware of the season you visit, as tsunamis and flooding are the main sources of threat to the otherwise safe place. 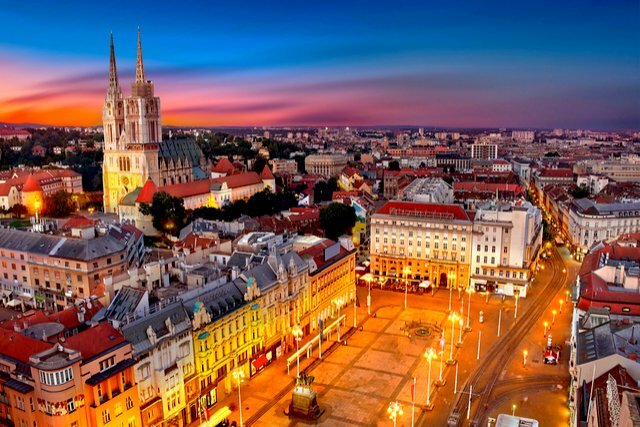 Tourism in Croatia seems to be growing every year, but while most guests flock to famed Mediterranean coastal towns like Split and Dubrovnik, the inland capital of Zagreb is usually overlooked. Most of Croatia is cheap but having escaped some of the throngs of travelers, Zagreb is possibly the best budget destination in the country. Those venturing around the city will be pleased to find a proud local population wanting to share their wisdom and wine. Wander around the cobblestone streets of the city in the comfort of knowing there is very little threat to tourists in Zagreb. Central American countries like Guatemala and Nicaragua are usually known for their budget-friendly qualities. However, as seen in the news, these countries are also currently experiencing civil unrest. While news about Mexico often focuses on gang violence and drug cartels, it’s important to illuminate the fact that much of the country remains open to welcome visitors in a very safe manner. San Miguel de Allende in Central Mexico is visually striking with its old colonial architecture. Besides its renowned buildings, San Miguel de Allende and the nearby equally beautiful Guanajuato, greet visitors with colorful homes, an amazing food culture, and gardens perfect for leisurely strolls — all at an expense of roughly $40 per day for crafty travelers. At one time, having Medellin on a “best safe cities” list was unthinkable. It was only 20 years ago the central Colombian city was named the most dangerous place in the world. Since the 90’s, Medellin has largely kicked its drug reputation and through inventive governmental projects has reinvented itself, currently being ranked ahead of American cities like St. Louis on safety lists. Nowadays, The City of Eternal Spring — named for its warm year-round weather — is being hit with an influx of tourists. From legalized graffiti art to traditional museums, there is plenty to do in the city, not to mention it also boasts one of the best exchange rates in the world. The Lithuanian capital, located beneath other affordable Baltic capitals Riga and Tallinn, is experiencing somewhat of a renaissance. Driven by a growing youth population choosing to live and stay in Vilnius, businesses focusing on art, shopping, and foodie culture are booming. If you’re living on a budget, you’ll be pleased to know visitors to the city can expect to spend about $70 per day — very reasonable considering it’s nearly impossible to spend a day in Paris for anything less than $120. Not only is the city cheap, travelers in Vilnius can expect a safe vacation in a destination exuding charm. Serving as the gateway to Cambodia’s most beloved attraction, the temple complex of Angkor Wat, visitors sometimes forget about the contemporary appeal of Siem Reap. In the city, hostel rooms are available from as little as $5 per night and many meals at cafes or street vendors will only set diners back $1 to $4. With the extra cash, travelers can visit chic spas or indulge in some of the quality shopping offered throughout the city. Siem Reap is, by all means, safe, although certain common-sense precautions should be taken to prevent pickpocketing. It’s no accident that, more than anywhere else, Southeast Asia is heavily represented on this list. Historic, at times unusual, and abundant in natural splendor, the region, and specifically Vietnam, is very tourist-friendly and inexpensive. Built adjacent to a number of aquatic causeways, Hanoi’s rapid modernization is evident from its busy streets and new skyline. Nonetheless, its colonial past and Vietnamese traditions can still be found in some architecture and the attitudes of many locals. Many travelers are first introduced to Vietnam through its cuisine, and for good reason, the dishes and flavors of the country are some of the richest and complex in the world. The cuisine can easily be sampled, as popular street food can be purchased for as little as $1.50 for noodles and $0.50 for a beer. Perhaps the biggest safety concern in the city is getting run down by erratic motorbike drivers, so remember to look both ways before crossing the street. Africa’s safety jewel is Morocco. Home to hospitable people and extreme landscapes, the country has climbed many bucket lists for travel-lovers. While most of the country is safe and affordable, Essaouira gets recognition for its location. Marrakesh may be only a few hours east, but Essaouira, since it is less-known and more isolated, is slightly cheaper. Also, resting on the Atlantic Coast, the city is incredibly reasonable for a beach destination. However, most of the year, the city experiences strong winds that discourage many tourists booking here. Even during windy seasons, the city is aesthetically remarkable with historical architecture, pungent markets, and smatterings of palm trees. A four-hour bus ride from Marrakech costs only $6.50 and a small meal ranges somewhere between $0.50 to $3.00. A city that moves at the pace of its local musical tradition and savors its unique traditional cuisines, The Big Easy feels foreign in many ways. At times beautiful, at other times seedy, and often a combination of the two, downtown New Orleans is a great destination for the best cheap activity known to tourists: just walking around. While, like most large cities in the US, there are crime-heavy areas, it’s unlikely tourists will find themselves there. An advantage over a lot of other American cities is the Cajun food and flavor that defines NOLA is readily available and for a pleasingly budget-friendly price.